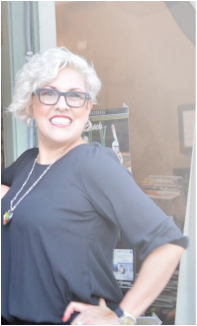 I am the owner of Envy Beauty Studio Located in the heart of the East Village Art District. I am also an educator for L'anza Healing Haircare and a recent recipient of the 2013 National Association of Professional Women, Business Woman of The Year. Since graduating from El Camino College I have been styling hair for over 25 years and have been teaching for over 8. Having attended classes at hair shows in Chi ago, San Jose, Florida, St. Louis and of course Long Beach. I love what I do and consider it an honor to teach my clients about what is best for the health of their hair. I consider myself a "hairapist." My services include cuts, color, perms, straightening, make-up and up-do's. I'm available for weddings, proms and other formal occasions with advanced notice. My regular hours are Tuesday & Thursday's 10a-7p, Wednesday - Friday 10a-3p, Saturday 9a-3p.